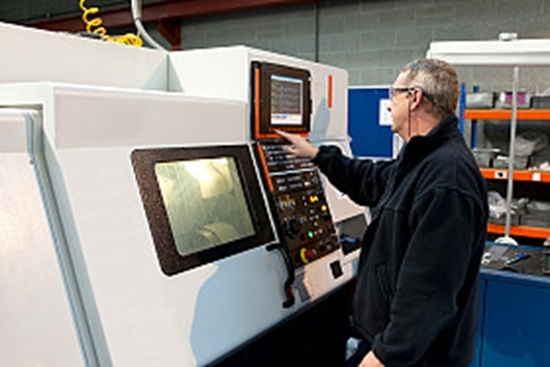 Learn to program CNC machines and prepare a career as a CNC operator from home. This course is great for the beginner or seasoned machinist. Earn a certificate with instructor support & online exams. Easy step-by-step lessons let you gain valuable CNC programming skills at home. Learn to develop programs that control the machining of metal or plastic parts by automatic machine tools, equipment or systems. Designed to meet the needs of both beginning machinists and seasoned machinists making the transition CNC programming. This CNC Principles and Applications course is a perfect fit for those who want to prepare for a career as a CNC operator, CNC tool setter, CNC programmer or other CNC occupations. Get an overview of the entire manufacturing process, from planning and prep to code writing and set up. Other learning topics include tooling, print reading, quality control, and precision measurement. In addition, this course includes the most up-to-date information on G and M code programming available today. Learn from the comfort of your own home and study when it's convenient for you - there are no time limits. Everything you need to succeed is included with tuition! Textbook, CIE study guide, 10 distance learning lessons, instructor support, access to CIE's online exam site and a professional certificate of completion from CIE Bookstore. Learn from the comfort of your own home and study when it's convenient for you - there are no time limits. Includes instructor support and you can take your exams online on our e-grade web site any time you want - day or night! Everything you need to graduate is sent to your home. This course was designed with a convenient step-by-step learning format that will allow you to master new topics quickly and effectively. If you ever need help with your course you can call or e-mail our staff of highly trained instructors for immediate attention or you can join the chat room and ask a question. After finishing this course you'll receive a certificate of completion suitable for framing in CNC Programming! How do I enroll in the CNC Programming Course? 2. Call us at (800) 321-2155 and ask for course 02-CNC. Start your CNC Programming Course today!